I started having problems with my weight around 22 years. Just after finishing college. I had about two years of dating my current husband . My obesity problems lasted 10 years. I ‘m Nicaraguan , a tropical and warm country . I currently live in Guatemala . Just over three years ago I went with my family for vacations. I felt so bad for climate change . I felt my heart was going out of my chest , I thought i could Died, so badly that I felt . So my husband begged me to go to the doctor as soon as possible to treat the pressure. Two days later I returned and I said goodbye to my family, my father whispered to me that please , please come down in weight. I had two young daughters and a husband who needed me and I did not want to happen to me like my mother. She just died of diabetes. And from that moment I decided to change my lifestyle . For them and above all for my. Note the results from the start. In the first month comes to losing 24 pounds. And my process was lost in thirteen months. Getting to lose up to 120 pounds. Overcome my depression . The first time I enter the gym, and all the shame of the world . I felt that everyone looked at me and gave them grief. Stick to the diet , it was very difficult to overcome dates as my birthday, my daughters , Christmas. Sure, but I always kept true to my goals and objectives , my husband was very supportive . 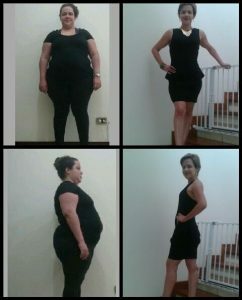 My weight loss hard thirteen months. 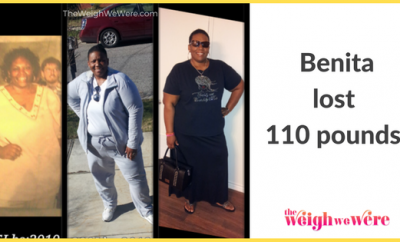 At that time I lost 120 pounds . It’s funny, now I step food better and less hungry than when I was overweight. By mistake before I skipped meals. And only ate two or three times a day . And were most of the time few nutritious foods . It does not feel like , when you get to be my biggest weight not made ​​me want to get up. Now I wake up very early to go to the gym every day. The exercise gives me energy and enthusiasm. I feel more motivated and happy than ever. Seek professional advice, a nutritionist. Not all are equal , the diet that works for one may not be the best for you. Congrats! Amazing job. Very inspiring! I am wanting to be in the best shape and health of my life, not only for my self but for my husband and my kids. Your story touches me.